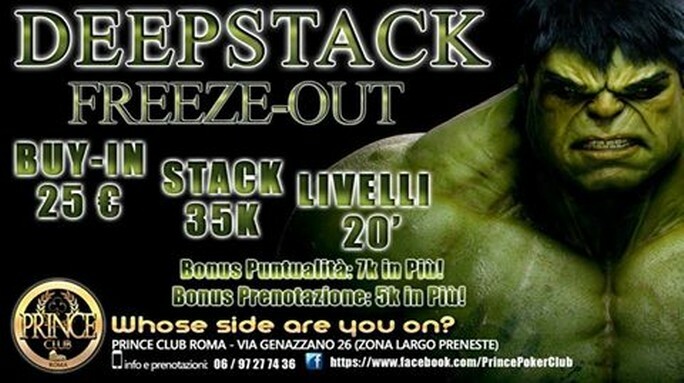 PRINCE CLUB REVOLUTION - DEEPSTACK FREEZE-OUT - Texas Holdem Poker - Tornei Live di Poker a Roma. - Bonus +7.000 STACK PUNTUALITA' entro le 22:30!! - Bonus +5.000 STACK PRENOTAZIONE!